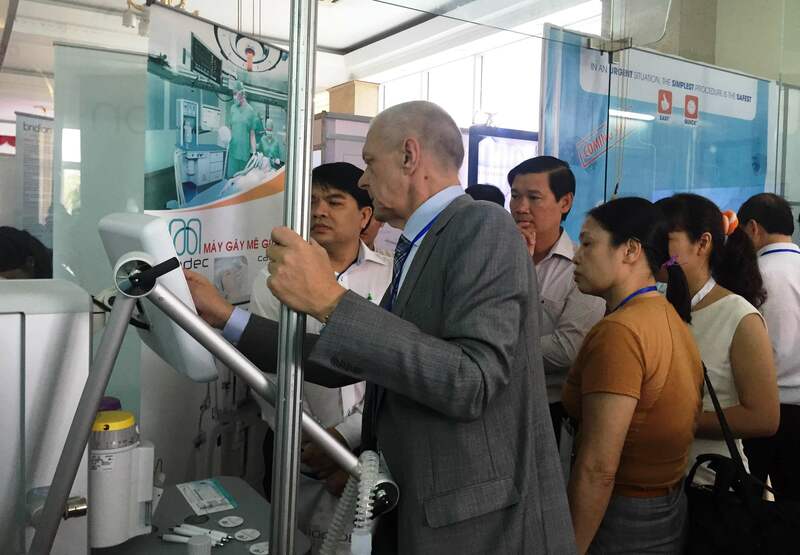 From June 23rd to 24th, during the Vietnam Congress of Anaesthesiology 2016 in Quy Nhon city, Binh Dinh province, Medec launched its new Caelus Lite anaesthesia ventilator. “This is the first time we have such great integrated anesthesia solutions in Vietnam; it is good news for not only our anesthetists but also the patients. It helps control the anesthesia in the most effective way with a full range of indicators provided”, said Associate Professor. Dr Cong Quyet Thang, Chairman of Vietnam Society of Anaesthesiologists.